Now that winter is approaching and the temperature is dropping, it’s time to consider how to winterize your horse. 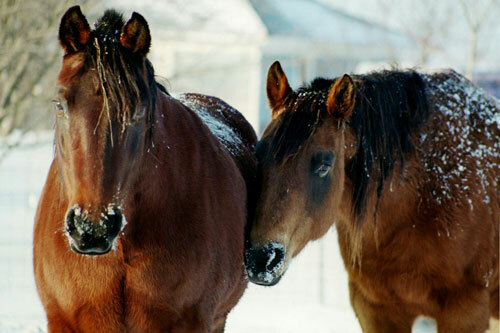 During the cold season, horse owners must make sure that their animals receive proper feed, water and shelter to stay healthy and comfortable. Further, since riders usually put a lot of time and effort into getting their horses ready for shows, trail rides, or other events during the warm months, if they maintain their horses over the winter, all that effort won’t go to waste and have to be started over in the spring. This entry was posted on Wednesday, December 16th, 2015 at 7:57 am	and is filed under Horse. You can follow any responses to this entry through the RSS 2.0 feed. Both comments and pings are currently closed.